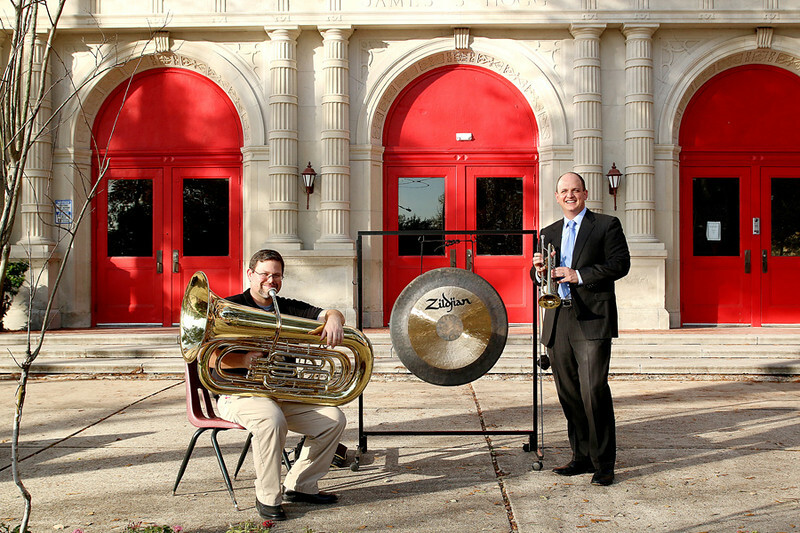 Hogg Middle School band director David Sells and Peter Marmo ((Learn Local). Learn Local is hosting a Latin Jazz fundraiser in February to aid the band. Photo by Pin Lim.